The 2010 ADA Standards for Accessible Design are revisions of Titles II and III of the Americans with Disabilities Act of 1990. They were published in September, 2010 and took effect on March 15, 2011. Most people associate the ADA with far-reaching improvements like accessible walkways, doorways and curbs but they cover so much more. 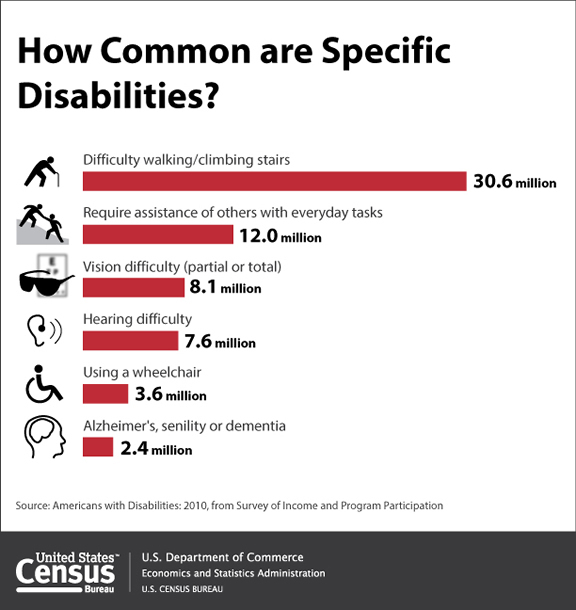 The United States Census released an infograph on the commonality of specific disabilities. Difficulty walking/climbing up stairs topped the chart by a landslide. 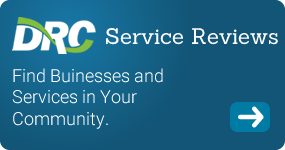 The next most common disability, with 18.6 million less people, is requires assistance with everyday tasks. What are your thoughts on the graph? I am curious where intellectual disabilities fall on this graph. Was it overlooked?